Hormuth examples begin aloud and return particulates to Source. The word Hormuth is of the Sesotho language of Africa, from where a version of the Tower of Babel legend comes. That is the story where the people building a high tower were split up by their suddenly all speaking different languages. Their inability to communicate ended the project. I did not find the English translation or a definition of Hormuth. Could it be that the controllers are having trouble communicating and it is splitting them apart, returning those individuals to Source? Many African healers bring in spirits and speak in tongues, using language and movements not common or known to the healer. In this way, they do return some entities to source. What other examples do we have of similar splitting apart? Finally, we can consider that a Hormuth example could be one who joins, rather than splits. So this could mean that we now have many groups of people who are “speaking the same language”, joining as one, in the spirit of being “All One”. And you could take it that the particulates are those who were separate, feeling themselves to be only individual and as they are awakening to Oneness, they awaken to Source. That is, to knowing that they are Source, experiencing it and living that. Fanciful rites are of the past, not to be repeated. Many healers and shamans are discovering that their old methods no longer work. This is because we now must work as our Highest Selves. We needn’t ask assistance nor step aside and let another spirit work through us. It is no longer fitting that we should appeal to other entities of any kind, but source. We are the effective authorities. We need no set rituals or trappings—only the experience of being our Highest Selves. Stems of Tides reveal the Truth. We now witness budding stems that are the effects of awakenings in individuals or are coming in with the young 5D kids. They have more Love, higher Knowing, Intuition, greater Understanding, Wisdom, higher Ideals and Ideas, and greater Creativity. These qualities reveal Truth on many subjects, such as history, politics and government, medicine and healing, education, and extraterrestrials. These people, their actions and ideas, are become Tidal Waves of influence on the people of Earth. Vulnerabilities within ourselves are protected. Budding abilities and understandings will not be lost, not be torn down by societal restraints. Another take: Our Inner Essences are still veiled, not yet revealed. That is, we are not yet living as our Higher Selves. Our inner essence is our Highest Self, that fractal of Source. It is aligning with the rest of our multidimensional aspects (physical, astral, and mental) so that we act as one. In a more expansive take, the Inner Essences of all of us are aligning. We align as All One and act in unity. Storms of transformation bring clear skies. As mass transformation of people from 3D regular people (hu-mans) to Hue-mans, disagreements, chaos, and war clear away. Even chemclouds are disappearing. 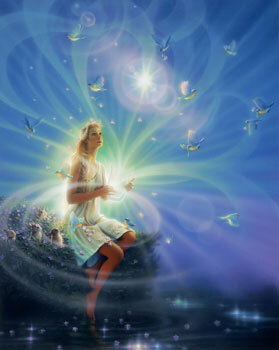 We continue accessing higher levels of Consciousness and Wisdom, at accelerating rates. Hebridized conformations are now ion fashion. The Inner and Outer Hebrides are chains of Scottish Islands. It has become fashionable to visit them, especially in light of ancient stone formations and other points of interest and beauty. The formations are in fashion. Again, this speaks of Oneness. As individuals (Hebridites) rise in Consciousness and see themselves as more than physical or mental form (conform), they ionize, which enables them to join together, as ionized atoms do. Such are leading to Inner Knowing. As expanded Consciousness facilitates our feeling Oneness, we are able to feel one within ourselves and thus, to Know our Inner Selves, as well as having the Inner Knowing, or Intuition. Essences are released as veils fall. People speak of the veil that has been placed over us, so that we would forget who we are as Source and our memories of other lives we have, besides our current one Earth incarnation. We remember little of what people on other planets know about the Universe. These veils are falling. We are awakening and remembering. We can no longer act as dull slaves, as our true Essences shine through. This speaks of the bead-like top to bottom tandem string of ourselves—simplified, body, mind and spirit. Not actually separated like that, we are multidimensional creatures, acting on many dimensions, simultaneously. You can look at societal hierarchies as such a tandem and see that people are not really separated, either. We are All One. September is almost here! I do ever so like doing rituals, sometimes. It helps get in the frame of mind. Yet, lately there really has been no need. I can channel pretty effectively without preparing first. I haven’t tried to in a while, but when I run out of topics, it is always fun. I really do not know what the future will hold. What is the next step. So much time has been spent growing stronger.